So many baby names to pick from. Choosing the perfect name for your baby is definitely very important. Here are some tips, some dos, and dont's for naming your baby. Choosing the perfect name for your baby is definitely very important. It is perhaps one of the first big and most important decisions a parent will have. The name of your child will last a lifetime. Of course it is not always something that is easy to do. Sometimes it can be an exciting decision, while others find it to be pretty frustrating as well. There are definitely some mistakes that you can avoid and some tips that can make the process easier and more enjoyable. 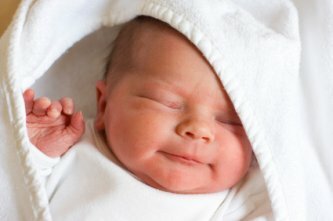 Here is a look at some of the do's and don’ts of picking out the perfect baby name, as well as some tips to help you out as well. Trying to figure out what to name your baby? Well, here are some things to DO when you are going through the process of trying to find the perfect baby name. – DO come up with a list of names you really like. Come up with a separate list with your partner. Then use your two lists to come up with a list of 5-10 names that you both agree on. Think about the list or even keep it until your baby is born. There may be something along the way that helps you to settle on one of those names on the list. – DO consider a name that is meaningful. Names from history, family names, and names of people that you admire are great choices. It often provides a child with a sense of direction as well. – DO take a variety of names into consideration. Take the time to explore various names that are out there. This way you are not limited to a few names that come to your mind. – DO make it a fun time with your partner. Remember, you don't have to do this all in one night. Don't allow it to become a heated debate. You want to make this a great memory instead of one that is stressful. Of course while there are definitely some things to do when choosing a baby name, there are some other things that you DON'T want to do. Here are a few Don'ts that you definitely need to remember. – DON'T use a name of someone you don't care for. The last thing you want is to associate your baby with a name of someone you can't stand. Even if the name is beautiful, don't do this to your child. – DON'T make the baby name difficult to pronounce or write. No child wants a name that is a tongue twister to pronounce. So, keep it simple and something that will be fairly easy for your child to pronounce and write. – DON'T get friends and family members involved in your decision. This will only make everything a whole lot more complicated. Just keep it between you and your partner. After all, it's already complicated enough with just the two of you. – DON'T wait until the delivery to decide to voice your opinion on the names you've considered. The last thing you want to do is be going through this in the delivery room. When the baby is born, they are going to ask what you are naming the baby. It's best to be prepared long before the delivery occurs. Now that you've seen some of the do's and don'ts of choosing baby names, here are some top tips. They'll help you out as you go through your search for the perfect name for your new little one. – Tip #1 – Start Your Search Early – One important tip is to start your search for a baby name early on. More than likely you'll both change your mind several times before you come up with the perfect name. So, it's definitely a great idea to make sure that you allow yourself plenty of time to come up with the right one. This will make it much easier for you. – Tip #2 – The Internet Can Be Helpful – The internet can be helpful to you when you are trying to find the perfect baby name. You'll find many great sites that offer many names to check out. The more names you think about, the more options you have. This will help you to get a good idea of the types of names that you really like and enjoy. So, check online for some top baby naming resources. – Tip #3 – Stay Away from Trendy Names – When you are choosing your baby's name, it's a good idea to stay away from trendy names. You don't want a name that is just based on a current trend. You want something that will be beautiful forever. So, don't just choose a name because it's the vogue name to use. Classic names may be a better choice for your baby. – Tip #4 – Consider Getting Original – You may even want to consider getting original with the name for your baby. You don't have to go with a name that already exists. You can actually make up the baby name on your own. Consider combining a couple names that you like to come up with a unique and beautiful name. Just make sure you don't come up with a name that your child will spend their life being teased about. No kid wants to be the joke of the playground because of their name. Finally, one last tip that personally helped us. Have more than one name ready. No matter how much you may plan, one of those backup names may just prove to match your new baby perfectly when you see her/him for the first time!